Looking for the perfect summery dessert? 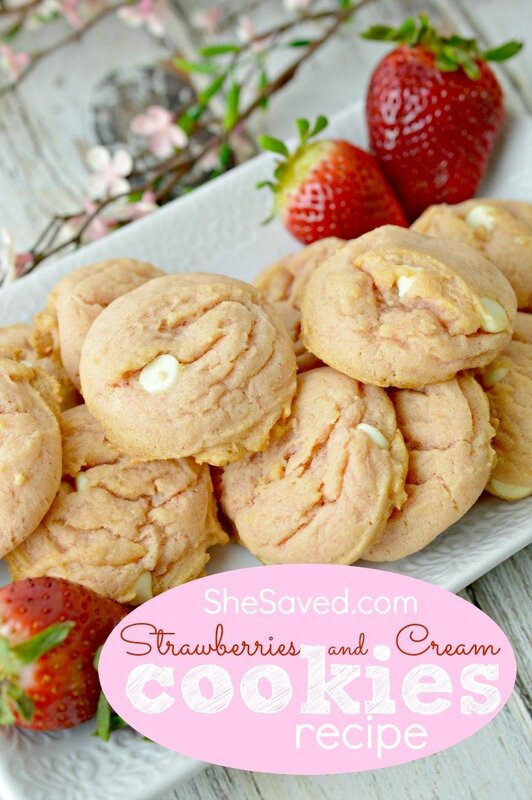 My Strawberries and Cream Cookies recipe is perfect to help you spring into the summer months! It has a few secret ingredients (can you say white chocolate??) that make these treats both sweet with just a kick of tangy (strawberry jello!). My family loves these, and I enjoy sharing them at family BBQs and events. They are so unique and they taste like they were purchased at a fancy little bakery, but you can make them right in your kitchen with a pretty simple mix of ingredients! In a large bowl, cream together the butter, strawberry jello powder, and sugar until well blended. Add in the eggs and vanilla and whip until fluffy. Stir in the white chocolate pudding mix. Add in the flour, baking soda, and salt. Stir until all ingredients are incorporated well. 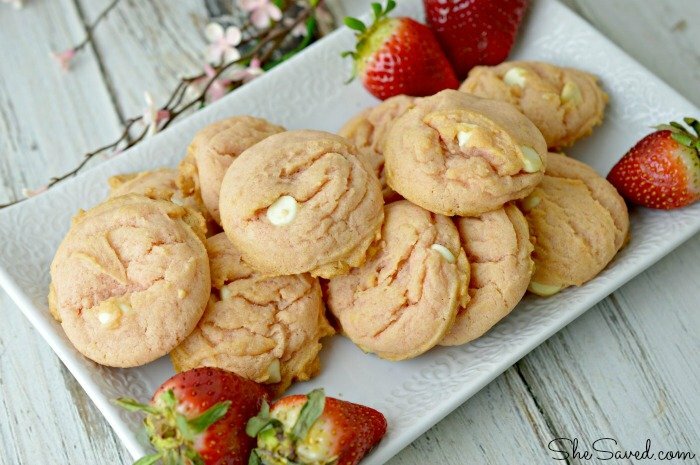 Fold in the white chocolate chips. Drop by teaspoonful onto a greased or parchment paper lined cookie sheet and bake at 350 degrees for 10 minutes. Enjoy!